Offering access to Diamond Peak Wilderness, this primitive campground is next to the&nbsp;beautiful Summit Lake. Mosquitoes can be particularly bothersome.The access road (Forest Road 6010) to reach this campground is only recommended for high clearance 4x4 vehicles. There is a beach launch boat ramp area within this campground. 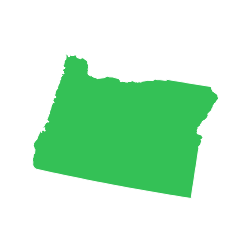 From Crescent, OR: Travel 12.2 miles west on County Road 61/Crescent Cut-off Road, then 3.5 miles north on Highway 58, then 7.2 miles west on Forest Road 60, then 6.5 miles west on Forest Road 6010 (high clearance vehicle recommended). &nbsp;Forest Road 6010 is not maintianed for low clearance vehicles. My husband, dog, and I stayed at Summit Lake campground on night 15 of our month long backpacking trip so we accessed it by foot. We did walk along the road to get to it and it was a dirt, forest road. Would definitely recommend using a higher clearance vehicle to get there. In any case, this is a great, secluded, super primitive campground provided by the forest service. 1) Location was absolutely amazing! The lake was so pretty and it had lots of little islands you could paddle out to and explore. There was even a lady camping on one of the islands as she left her truck at the campground. It is really secluded and only had two to three designated spots. 2) It is free! Who doesn't like free?!? And it has a pit toilet which is always a plus when you are backpacking. 3) It has all the basic amenities you need for a primitive spot--table, fire pit, flat ground for your tent (although the ground was pretty hard and there were a fair amount of rocks). With it being primitive, you need to be sure to bring everything with you including firewood and water (unless you have a water filter). 1) We stayed there in mid-July so the mosquitoes were horrible!! They were waiting outside our tent by 6 am. So I am not holding them against the location, but when you visit be aware of timing. Earlier in the summer near a water source usually means lots of mosquitoes. 2) The toilet was closed! I am not sure if this was just a random closure or what but I was really bummed when I went to use a real toilet and wasn't able to. Summary: If you want a primitive spot in a beautiful and isolated location this is the spot!